Milwaukee Bucks tickets are a popular item during the winter months in Milwaukee and we like to make it as easy as possible for our customers to pick up their tickets. Our downtown Milwaukee office located at 751 N. Broadway is open from 8:30-6, but we know that it can be difficult for some people to come downtown and pick up their tickets before 6 after a long work day. For this reason, we have a will call booth at Major Goolsby's before all Milwaukee Bucks games so that customers can pick up their Milwaukee Bucks tickets in a more convenient location. 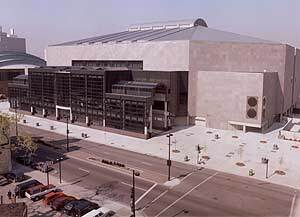 Major Goolsby's is just a block south of the Bradley Center so it is very easy to swing by and pick-up your tickets just before tip-off. We operate our booth at Major Goolsby's starting one hour prior to the game and up until game time.